Scottish Food and Drink Fortnight runs from 7th - 22nd September and Karen is looking forward to celebrating it in her kitchen, as Scotland has a plethora of amazing fresh and seasonal produce to share. She starts by showing how to make a delicious Smoked Haddock Mousse. Scotland is full of amazing food and drink. It’s not just the obvious things such as Scotch whisky and smoked salmon, but all of the other fabulous ingredients such as raspberries and other soft fruits, potatoes, cheese, seafood and fish, conserves and jams, marmalade, beef, lamb, game, oats and pulses. It’s a region that is rich in natural produce and the sea off the coast of Scotland is bristling with the most amazing range of fish, as well as shellfish. Although I intend to cook with most of the above ingredients over the next fortnight, if not all of them, it’s some prime Scottish fish that I would like to share today, with a simple and yet beautifully elegant recipe for Smoked Haddock Mousse. I buy ALL of my fish from a reputable online fishmonger when I am in the UK; the fish is caught in the North Sea off the North East coast of Scotland, landed in Peterhead, and is then prepared (skinned, boned and smoked) ready for immediate sale on the same day, or slightly later for smoked fish. I receive my fish within 24 hours and it is still spanking fresh and ready for the pan, plate or freezer. 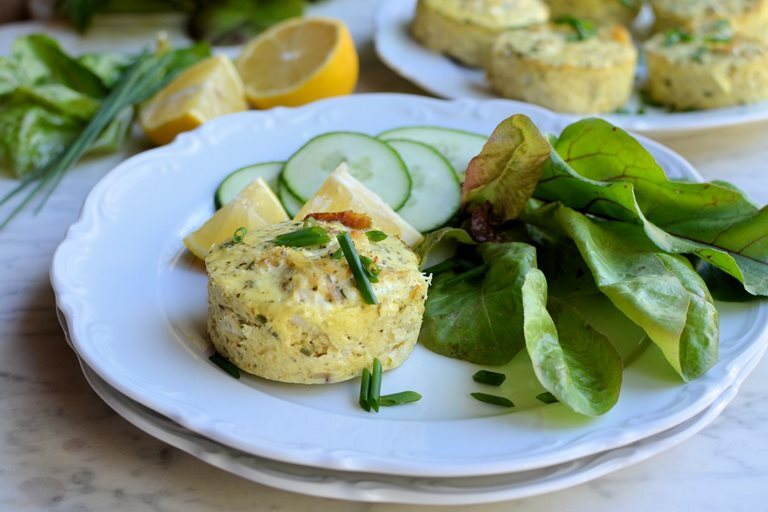 Although I am a huge lover of salmon, both fresh and smoked, it is its humble cousin, smoked haddock, which always gets my vote for fish pies, fish cakes, family suppers and simple luncheon dishes. Smoked haddock, also called “Finnie Haddie” a derivation of Finnan Haddie, is smoked using a specialised regional method where green wood and peat is used, and that imparts the very special flavour to the fish, which makes it so desirable. 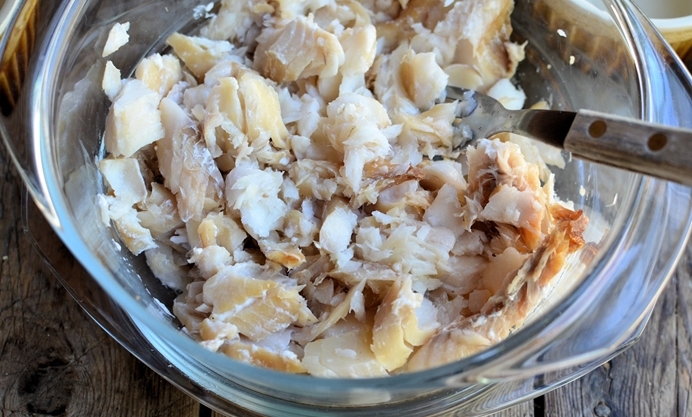 I also prefer the lighter smoking that Finnan haddie has, which bears no resemblance to the awful dyed and lurid yellow “smoked haddock” that you often see in supermarkets. A natural smoked haddock will be a dark cream colour and just tinged with a light yellow or ochre colour. I have a multitude of smoked haddock recipes, but I wanted to create a simple and elegant recipe to celebrate Scottish Food & Drink Fortnight, so, I devised a wonderfully light and easy to prepare recipe for Smoked Haddock Mousse, that can be served for a light lunch, as a family supper or as a starter for a formal dinner party or celebratory meal. 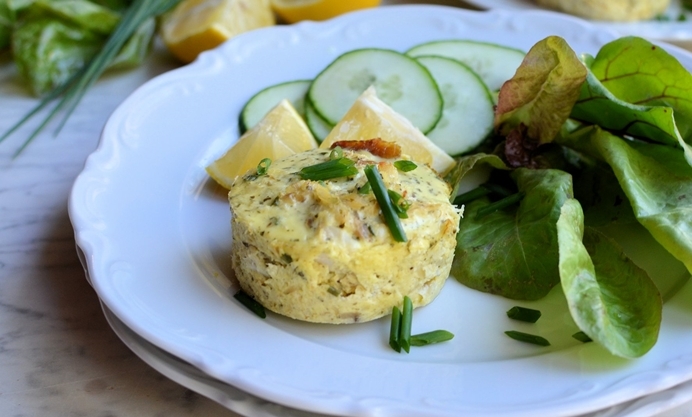 Prime Scottish smoked haddock is gently poached in a little milk, before being added to Caboc, a Scottish cream cheese, along with fresh herbs, free-range eggs and some subtle spices. The mousses are baked in a Bain-marie in the oven and can be served hot or cold, with salad and crusty bread, or thin slices of wholemeal bread and butter. 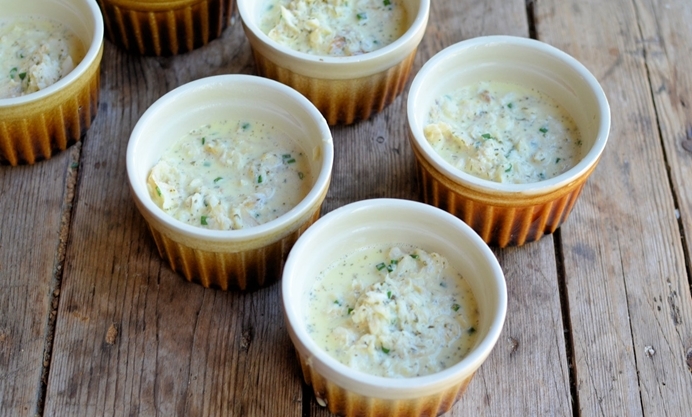 The recipe for these wee Scottish smoked haddock pots is below and in the absence of smoked haddock, then Scottish hot-smoked salmon or trout can be used in its place. These delicate little pots were enjoyed with salad leaves and thinly sliced cucumber the other day as a light lunch, served warm; the remaining pots were then served as a starter with home-made sour-dough bread, and were chilled – they are delectable either way, which makes them very versatile. 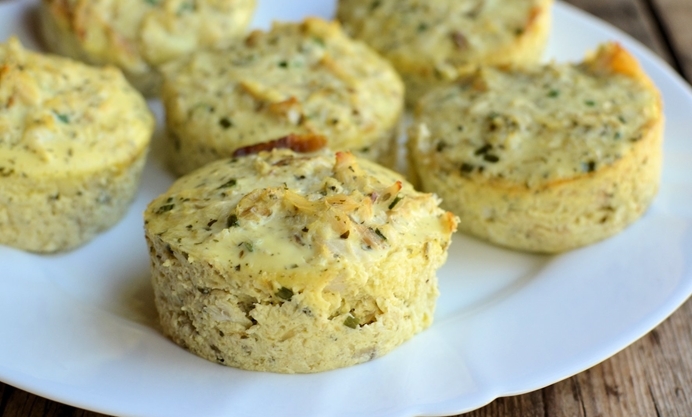 They can be made ahead of time too, which also makes them very handy for dinner parties and other large gatherings. I hope you enjoy them as much as we did, and the only proviso is to use Scottish fish, of course!